Dr. Naveen Singh is a well renowned and trusted Physiotherapist based in Indirapuram, Ghaziabad. He has had an experienced of over 6 years as a Physiotherapist. He has finished his BPT/BPTh. Currently he is affiliated with Ami Care Hospital in Indirapuram, Ghaziabad. Dr. Naveen Singh strongly believes in work ethics. 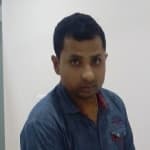 He specializes in general as well as Homecare Physiotherapist. He finished his BPTH/BPT from Barkatullah University in the year 2010 with distinction. He also specializes in sports injuries, joint pain, shin splits treatments, splinting treatment, arthritis, pain management, physiotherapy, heat therapy, homecare physiotherapy, interferential therapy and Neuro Physiotherapy as well. He is an active member of Indian Association of Physiotherapist. Dr. Naveen Singh has also served in Fortis Hospital, Noida where he carved his reputation as an expert physiotherapist treating numerous patients with varied conditions. He is excellent in treating Ortho and Neuro cases such as post TKR/THR Rehab Exercise, Cervical/Lumbar Spondylitis, Slip disc, knee arthritis, Post SROKE rehabilitation exercises, Parkinson’s Rehab Exercises, Muscular Dystrophy and In Manual Therapy. Although relatively new to the profession, Dr. Singh has had numerous patients under his expertise. As such, you may book a consultation online or visit him in person by seeking appointments through phone calls and texts. Spinal cord is a very important part of your body as it renders support to your body. It also gives your body a good posture and thus maintaining a healthy spine is very essential. An unfit spinal cord can lead to various complicated problems. Exercising your core muscles can help you to maintain a fit spine. Your core muscles refer to the muscles of your lower back and your abdominal muscles. These muscles give support to your spine. So exercising them can give you a healthy spine. Walking regularly can also give you a healthy spine. It is suitable for people of all age groups. Daily walking can help you to recover from various spinal illnesses as well such as spinal stenosis. Swimming is also a good exercise for maintaing a fit spinal cord. Swimming helps to exercise all back muscles and thus, gives you a healthy spinal cord. Lying down straight with your face down on an even and firm surface for about twenty minutes can help you to get a healthy spine and also a good body posture. Cycling can also help you achieve a healthy spine. While cycling, all your back muscles and the muscles of the lower part of your body are engaged in physical activity. If the muscles of your lower back are strong, then it can help you to keep your spine fit. Other than these exercises, stretching your limbs and other stretching exercises are also beneficial for a healthy spine. But it is highly recommended for you to consult a doctor before doing any exercise in order to be guided in the proper manner and avoid further complications. She is having a back pain from past 15 days .she is unable to bend properly. She is unable to do any vigorous activities and she is also having trouble in sitting and laying. So prescribe some exercise and medicine. U need to Physiotherapy session for proper Treatment. u need SWD IFT AND Spinal extension exercises. I'm pain in back aur inguinal area this pain increases during winters this mrng I woke up with sharp in back and Inguinal area I have through ultrasound physiotherapy and taken medications but everything was normal but besides that I'm having pain in inguinal area this pain increases when I'm about to have my periods my left knee also pains very badly sometimes this pain shifts to left side also please help me. It's occur due to weakness of abdominal area. Take abdominal belt for abdominal support. Do exercises for abdominal muscles Strengthen. She is having pain in back, shoulder blades. She is having same problem after she delivered a baby from Jan 16. Also she is having complaint of loose motion. Please suggest. Do hot Fermentation for 15 mints if possible take one visit at my clinic to proper guidance of exercises. Is this possible, due to spondylitis during coughing sometimes little blood could make it reddish in morning? No it's not possible in Spondylosis. U need to test your bulgum test in lab for proper diagnosis. Blood test also. Consult physician first he advice you properly. Zeba gets pain in her waist all the time. If she takes pain killer she gets relief for sometime but again the pain comes back. Why it is happening to her? it is occurring due to weakness of back muscles. So u need both medicine and exercises. Spinal extension exercises that can strengthen your spinal muscles. I'm facing severe backache since yesterday .slight down my shoulder nd exactly behind heart .sometimes it occur in ryt portion nd today in ryt. Plzzz suggest me some painkillers nd wt kind of treatment to be taken. Take hot Fermentation for 10 mints. Mobiswift D 2 times in a day. Pantac 40 mg twice a day. For 3 days. If pain is not gone consult Orthopedic. I'm having lower back pain since 1 month, had consulted doctors but no relief. 10 months ago had a c section delivery. please help. do hot Fermentation on back for 10 mints . and spinal Isometric Exercises. to improve muscles Power. About 80 percent of people all across the globe experience lower back pain at some stage in their lives. It is one of the most common reasons why people miss their work and appoint a physiotherapist. But lower back pain is an ailment that can be avoided with proper knowledge and some back exercises. In case your lower back pain is not under control and you have been neglecting it, you are susceptible to acute pain, sciatica, nerve pain and pain in other regions caused from a pinched nerve. Long-term pain in the back portion can lead to permanent ailments like degenerative disc disease or spinal stenosis. Probable causes of lower back pain: Severe pain in the lower back region can be caused due to a herniated disc, back muscle pain, ligament strain or any other non-specific pain. An individual may also suffer from lower back pain due to systemic conditions like rheumatoid arthritis, fibromyalgia or ankylosing spondylitis. Though these causes are very common in most people suffering from lower-back pain, the diagnosis varies from person to person and to ensure the best care to alleviate the pain, you must consult a responsive musculoskeletal physiotherapist. Stages for assessing and treating lower back pain: Managing the back pain is the primary objective of physiotherapy. In reality, back pain is the final symptom that is developed and the first thing that must be addressed. Stage I: Back pain relief: The physiotherapist is going to use different types of tools and items to help the pain subside along with the inflammation. These include electrotherapy, acupuncture, ice application, soft-tissue massage and deloading taping techniques. Sometimes the physiotherapist may also recommend an anti-inflammatory drug if the pain is intolerable. Stage II: Restoring normal strength: With the settling of pain and inflammation, you are more susceptible to injury because though your pain has subsided, your ligaments and muscles are weak. Your doctor will aim at restoring normal motion of lumbar spine, muscle endurance and strength, proprioception, balance and walking abilities. Stage III: Restoring full body function: Depending on your daily chores and activity, your physiotherapist will aim at restoring the function of your back portion to keep you safe while performing the chosen activities. For some, it may be taking a slow walk around the park while for others it may mean taking part in some sports activity. Stage IV: Preventing recurrence: Your physiotherapist will rehabilitate you to prevent further occurrence of this excruciating pain by suggesting proper postures, exercise and core muscle workout. Each of these stages are important to help you get rid of severe back pain and with daily exercise, you can regulate your body and spare yourself from recurrence of this lower back pain.